The new season of Chopped looks pretty crazy. Like a psuedo-historical Candygram, For Honor will be lying at our virtual doorsteps on Valentine's Day of next year. It makes sense, if you think about it. 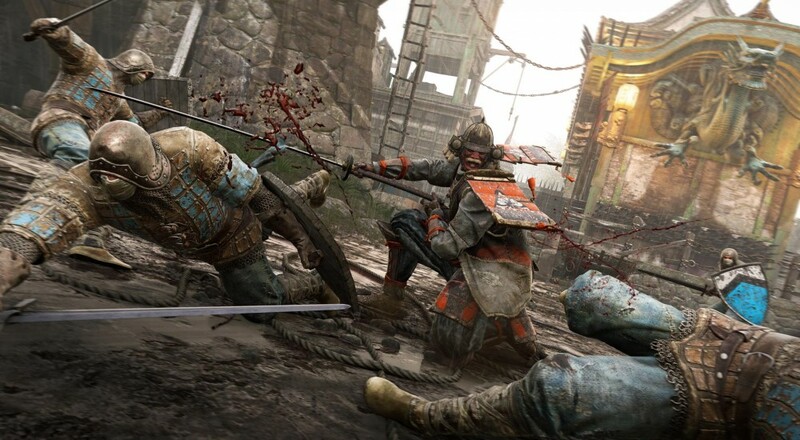 February 14th is widely recognized as a day of love and passion, and For Honor is one hundred percent about passionate warriors lovingly dismembering each other on the battlefield. Plus, as Pat Benatar taught us in the early 80's, love itself is a battlefield. Despite its semi-distant release date, Ubisoft has decided to show off three of the game's twelve classes via a series of cinematic trailers. First up, we've got the Samurai faction's Kensei, or Sword-Saints. They're all about chopping dudes and... not getting chopped themselves, I would assume. Next up are the Knight faction's Wardens, who hail from a long-forgotten order and are sworn to defend the most-likely-to-be-chopped. Finally, we've got the Raiders from the Viking faction. They're born with the "spark of the gods", which presumably makes them qualified to wield the highly-choppy Dane Axe. For Honor's release date is admittedly quite a way off, but gamers can catch a glimpse of its offerings through the upcoming closed alpha, which runs September 15th through 18th and can still be signed up for. When it does come out, the game will offer two player co-op to any duo who's still somehow debating the "Knights vs Samurai vs Vikings" topic.